It’s a simple equation: old sock + craft foam x glue = a collection of the most amazing, incredible, outrageous, awe-inspiring sock puppets you’ve ever seen. 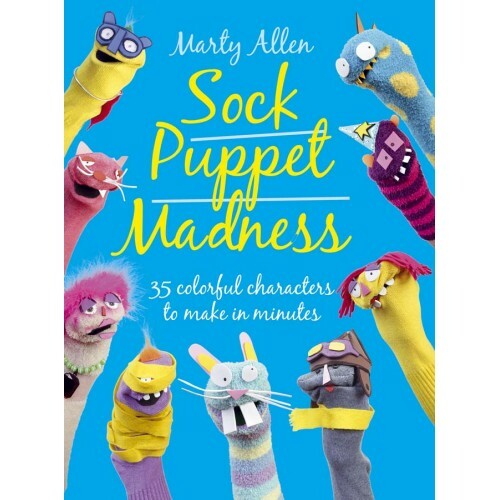 Sock Puppet Madness includes 35 of the most fun, outlandish, off-the-wall, and enchanting characters on the planet, and by following the simple step-by-step instructions, you’ll be able to put together your own puppet to take to the party. Like Bawston the ornery cat puppet, for example. He’s a baseball fan with a questionable temper, so watch what you say to him. A more friendly guy is Sebastian Metaphor. He may seem aloof with his hipster appearance but behind those sleepy eyes lies a heart of gold. All the puppets are so simple to create, using just a few readily available materials that cost next to nothing – plus everyone has an old sock they can use, right? So what are you waiting for? 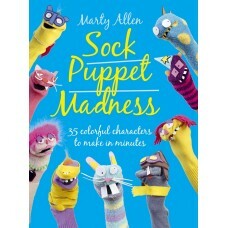 Buy this book now and make your own collection of sock puppets and join in the fun. And once you’ve made all the projects in the book, why not create your own characters based on friends and family, too. • All the projects are great fun to make and so simple to do. 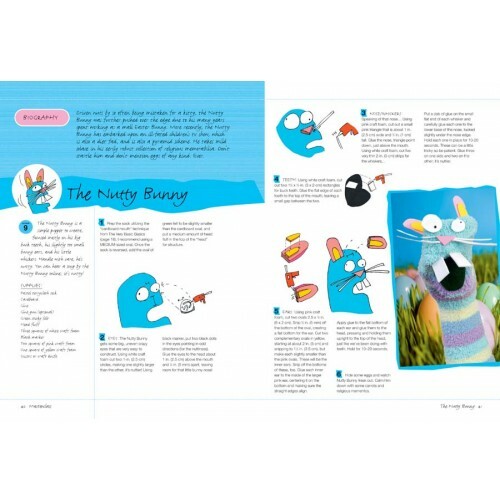 • Every puppet comes complete with its own story to tell, plus step-by-step instructions and illustrations to guide you through the making process. 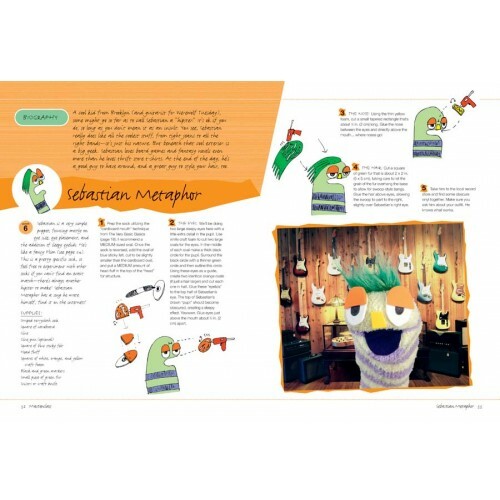 • Includes all the templates and techniques you’ll need to give your sock puppets real personality.